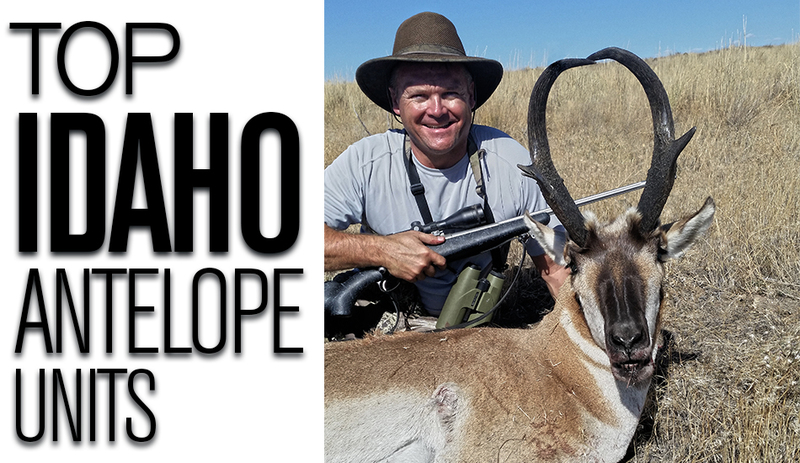 Idaho has a good list of pronghorn hunt opportunities that allow for a great pursuit and likely harvest if you draw a permit. Harvest success is quite high for rifle hunters, muzzleloader drops a bit and archery is at the bottom of the heap, but when compared to other archery stats, these harvest odds are actually quite good. 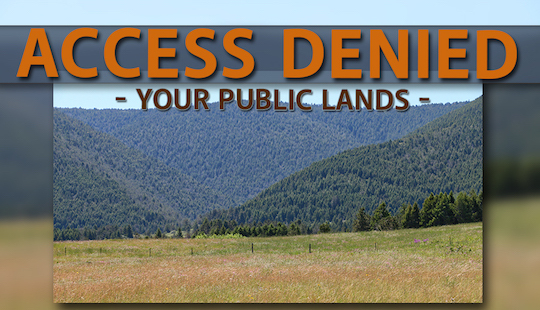 There are four unlimited permit hunts offered in the archery-only category. 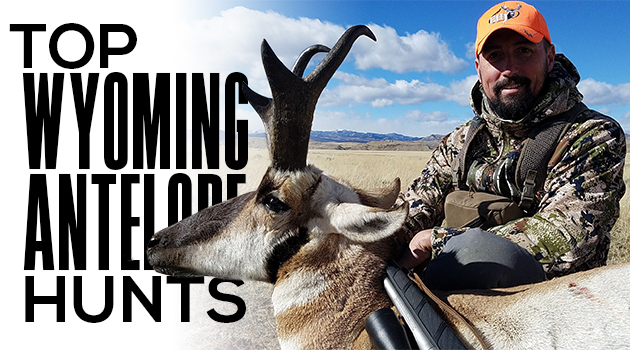 This is quite appealing to the avid bowhunter and will offer you a challenging adventure that is sure to sharpen your wits prior to your deer and elk hunts should you choose to spot and stalk these guys. 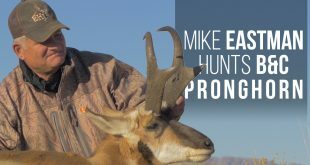 Pronghorn make a great warmup hunt and can leave the best of the best hunters with their head in their hands seething in frustration at yet another failed stalk. Last year IDFG cut back on Unit 68 permits due to a heavy winter kill, but new hunts were added in Unit 38 for rifle season and Unit 55 for archery and any-weapon. After looking at the Unit 55 results, I would say there must be something in the water down there. 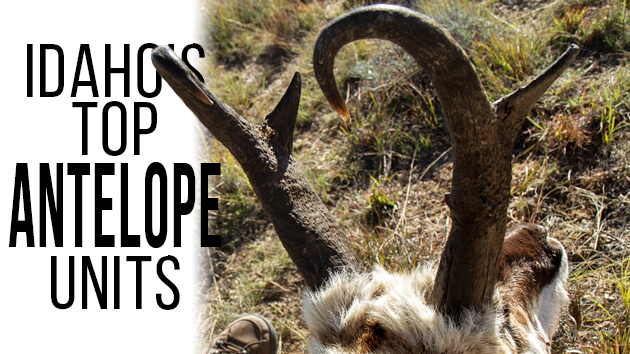 The highest horn length average statewide came from this new unit, both with rifle and archery tackle. We upgraded this hunt to a green chip status and will monitor it as we move forward. Definitely one to keep an eye on for you resident hunters. Unit 52A-1 – Located northeast of Twin Falls, ID. This is very accessible. 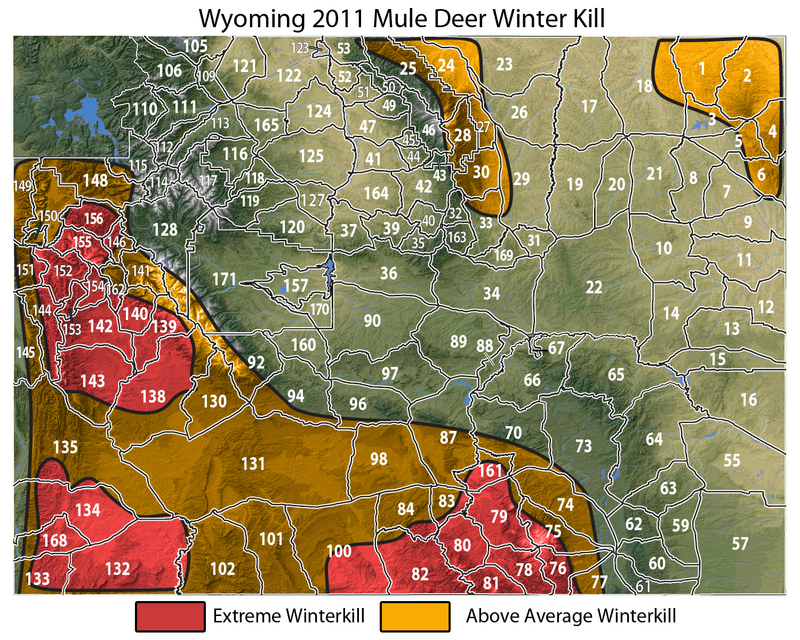 Bucks are solid, with a current 3-year average just over 13”. Terrain is varied, with something for everyone, some broken country and open flats. You can even hunt the Craters of the Moon National Preserve! Draw odds are tough as to be expected, but it’s a worthwhile choice for those willing to wait. Unit 54 – Harvest odds are steady, averaging 70% plus over the past three years. Trophy quality is solid, terrain here is broken and treed in the foothills. 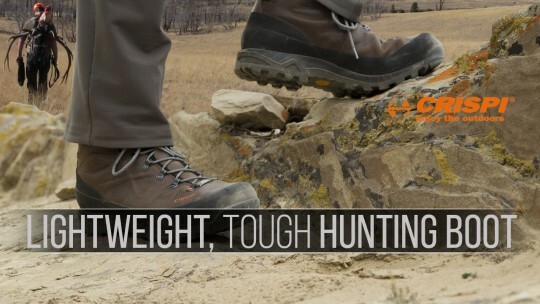 Lowlands are the go-to place, but the foothills are solid producers and offer excellent stalking. Don’t be afraid to look high for these guys. It’s not uncommon to find them on the ridge tops chasing does. Unit 55-10 – This unit is new to the list as of 2017 and from early reports we see excellent harvest stats – 100% on the 10 permits and the average trophy quality was the best we saw statewide. Draw odds here are tough, nonresidents didn’t see any permits for rifle, but they did get 1 archery permit. Definitely a worthy unit for those willing to wait the odds out. Unit 36A-1 – Topping the muzzleloader chart, this is actually a short-range weapons hunt, we have it under muzzleloader in our MRS as the optimal weapon of choice in that unit. 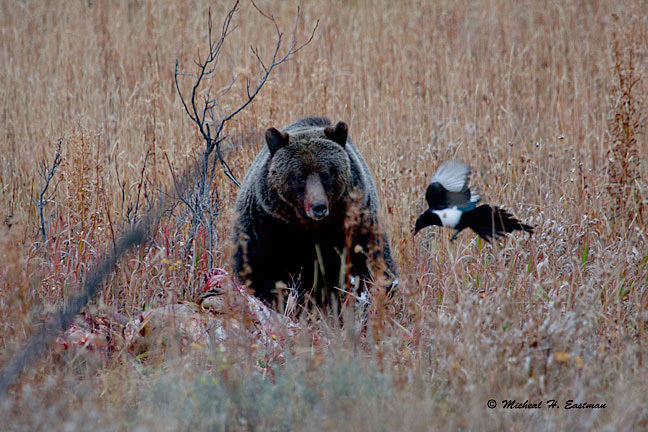 Draw odds are decent, trophy quality is up towards the top of what Idaho has to offer. The terrain is comprised of a foothill complex that creates a bit more difficulty traversing the area but offers excellent cover for the short-range weapon guys to get close to these wide-eyed critters. 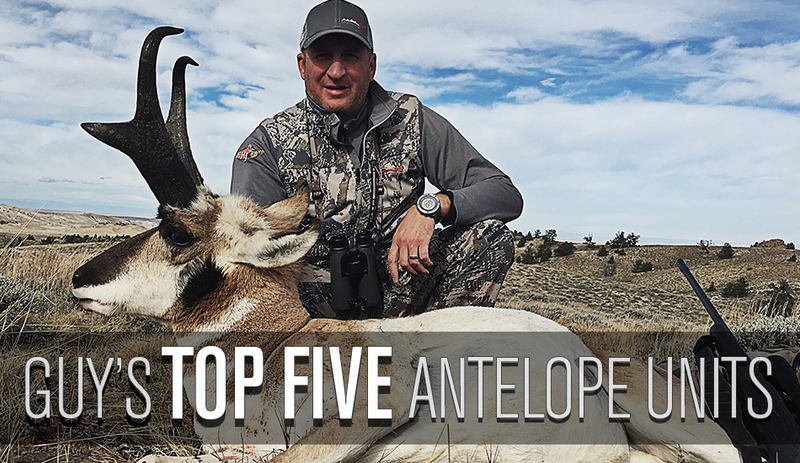 Unit 38-1 – Just south of Boise, this hunt choice is solid. A quick look at onXmaps shows a large island of BLM and state land, the terrain is open and easy to traverse. Trophy quality is good. Bucks in the mid-70s are achievable and the possibility of a book buck is here for sure. Unit 39 – Just across the road from 38-1. The lowlands are a great place to look. Public access is decent, however the foothill country is screaming at the bowhunter for spot and stalk. This unit has much more varied terrain and when those bucks start to rut, they will oftentimes push a doe up into this broken country and that is prime time for a stalk opportunity. Don’t forget to sign up or renew your subscription to our EASTMANS’ HUNTING and BOWHUNTING JOURNALS. Information like this and much more is all at your fingertips with hardcopy or digital editions Eastmans.com or call us at 1-800-842-6887 for more information. 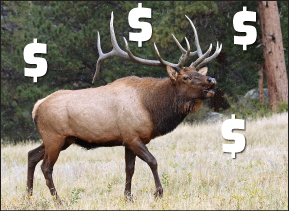 Previous Idaho’s Top Elk Units!